Gargoyles are engraved stones that usually appear on buildings, they are an important part of the architecture. They might look like beastly but they do serve a very rightful purpose. Gargoyles are usually fixed on the buildings with water emitting from the mouth. They usually help direct water away from the building sites, usually rainwater. Gargoyles are very effectively and efficiently used. 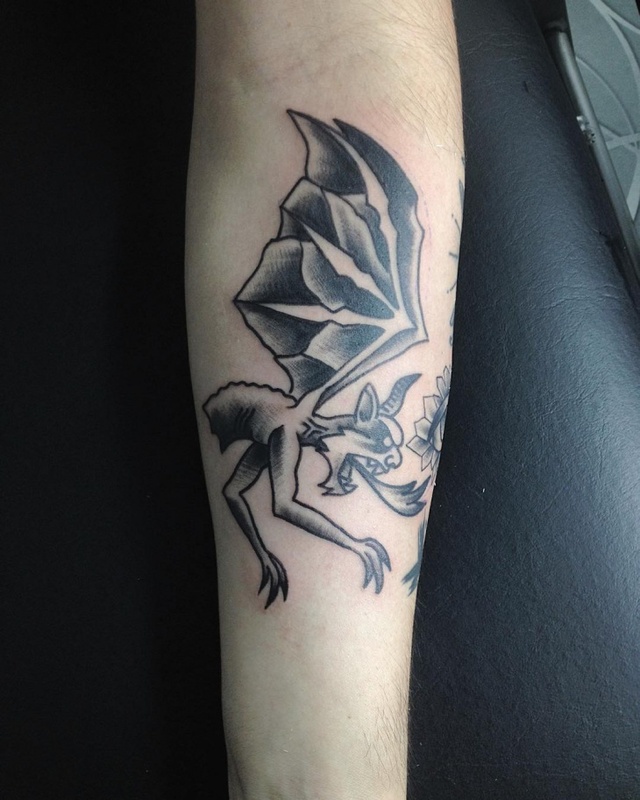 Well apart from on buildings, we think gargoyles as tattoo designs look absolutely amazing. 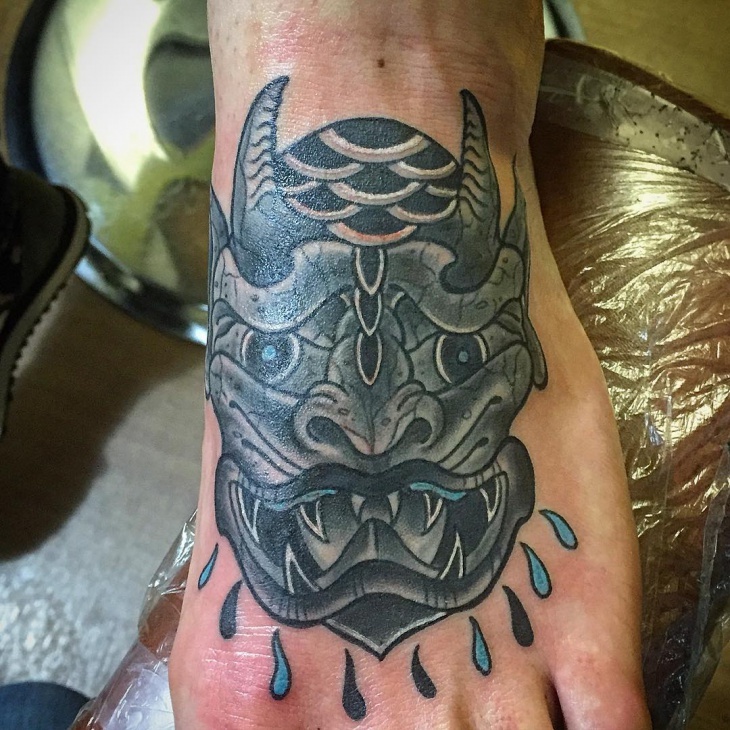 These 20 tattoos are different and each of it looks as beautiful as the actual carved stone. Take a sneak peak into this crazy style. 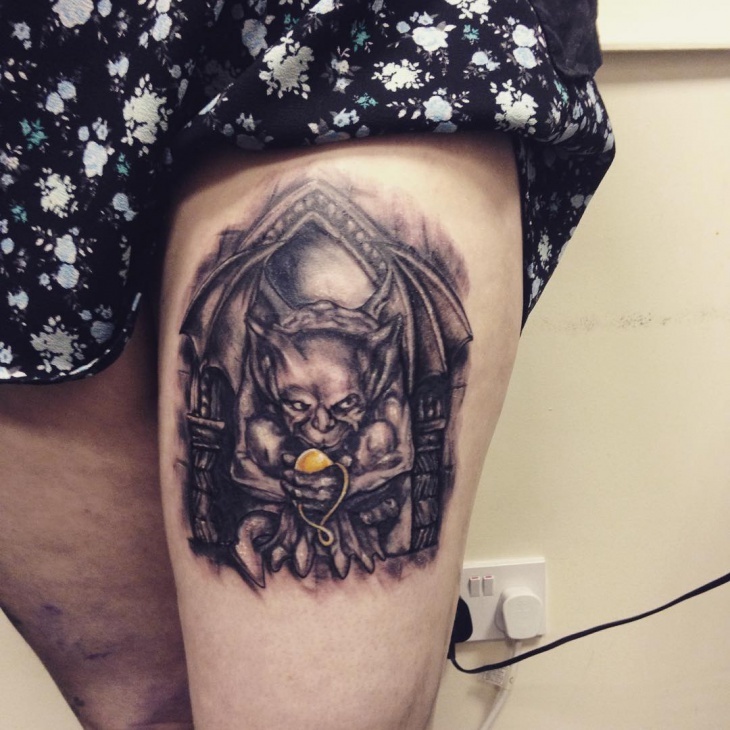 This cute baby gargoyle tattoo looks very nice. The wing tattoo on the overall design is done so perfectly. 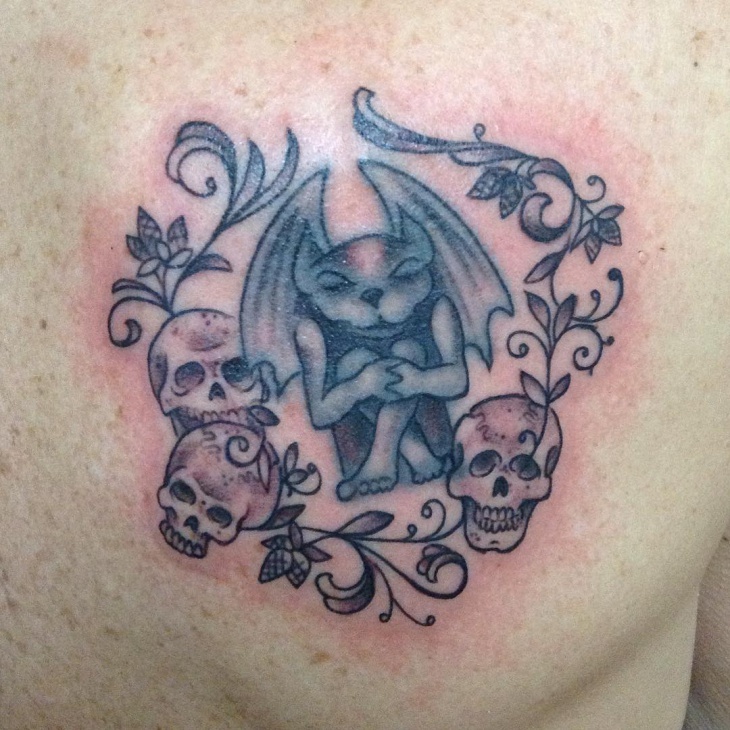 The skulls and flowers around it add to the gargoyle design and give it a combination of scary and adorable. 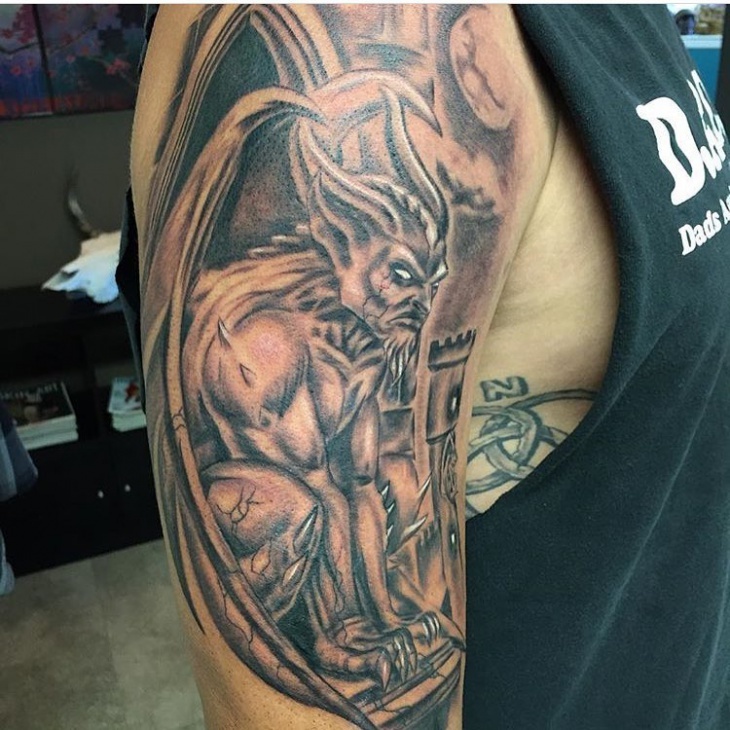 This is one scary looking gargoyle wing tattoo design. It almost feels the gargoyle is out to attack someone. 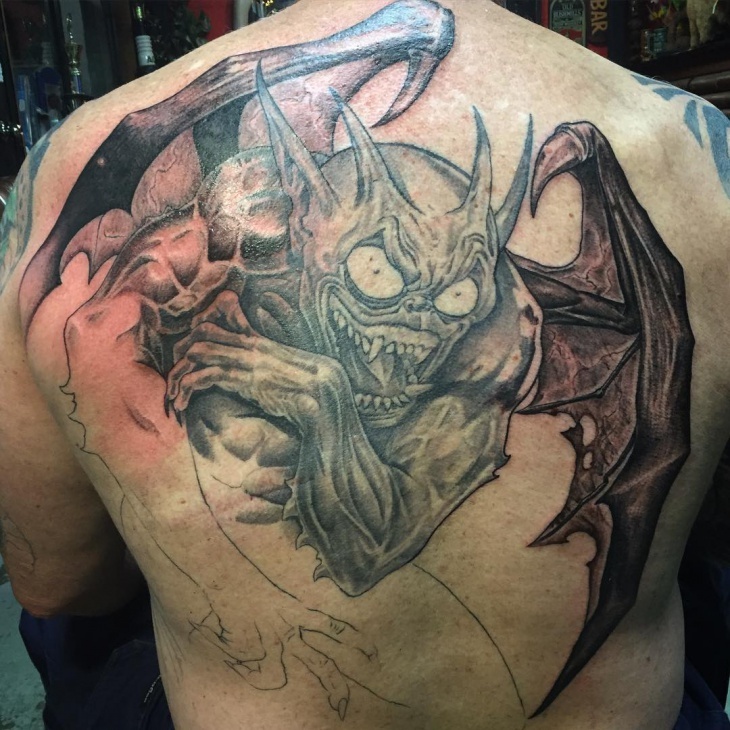 It is done so realistically and the shading done on it blends in perfectly to make it look like the perfect gargoyle. Well, if you like something simple and small then this should fit the bracket just perfectly. 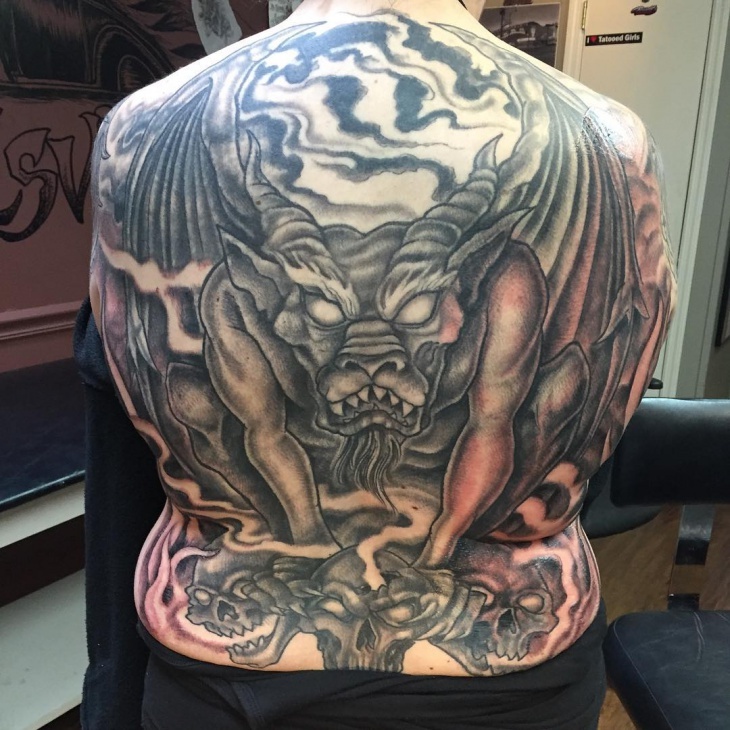 This is not like the other wing tattoos; this is only the skull of the gargoyle that makes it look like the combination of an alien and a dragon. 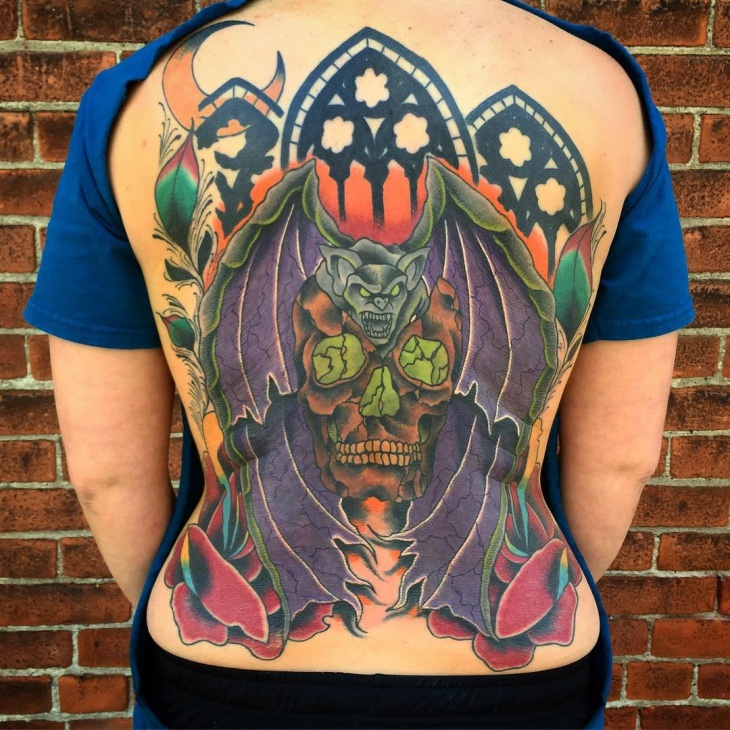 We love the intricate work done on this tattoo. It can be a little hard to believe but this is a female gargoyle. What we love most about this tattoo is how each emotion like the rage on her face is brought out so well. This is like art, very realistic. The character is brought very finely and will make you want to keep staring at it to get into more detailing. 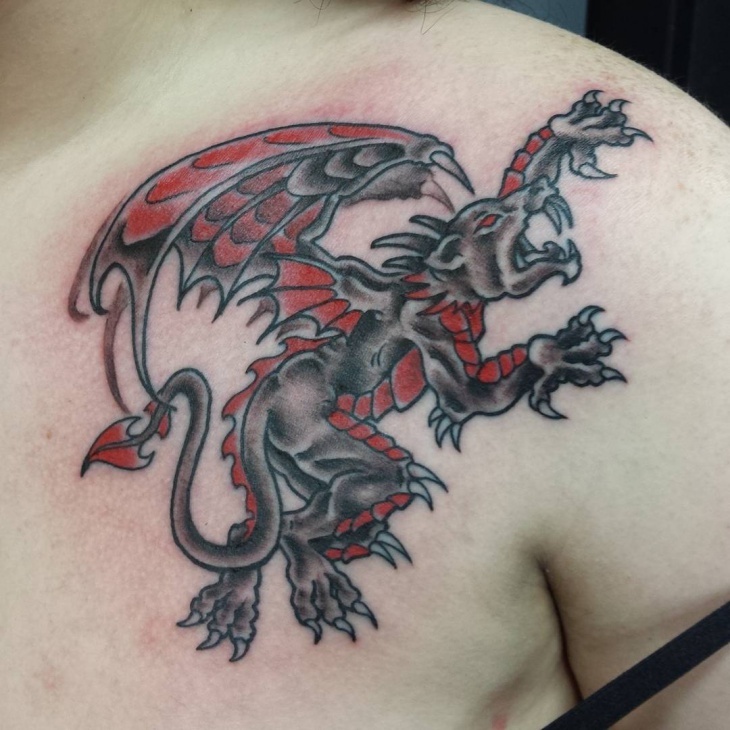 This dragon tattoo design with the evil gargoyle in it is a very nice combination. To mix the both is something very different and out of the box. 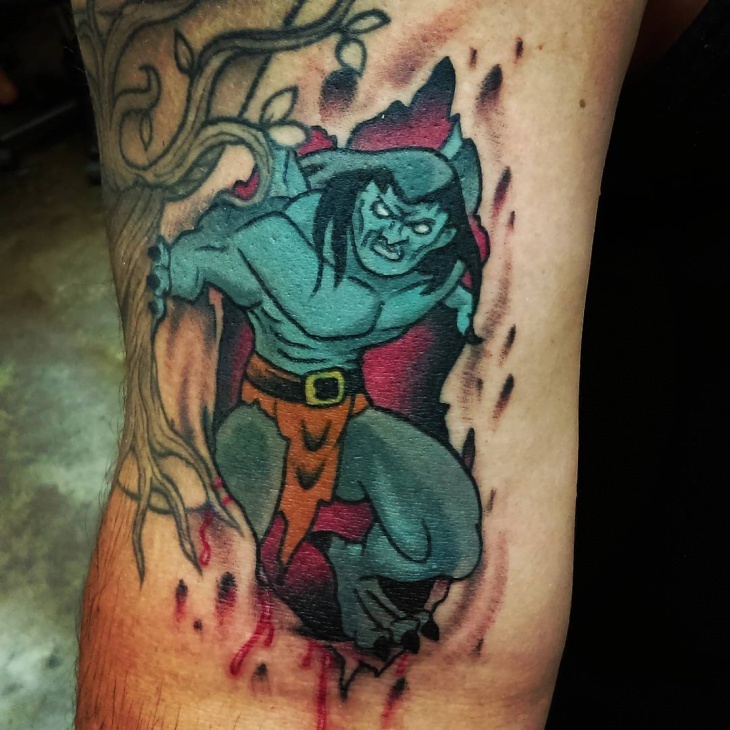 There is a lot of thought put behind it and what we liked the most is the coloring, the red color brings out fury and helps emphasize on the tattoo in a better manner. 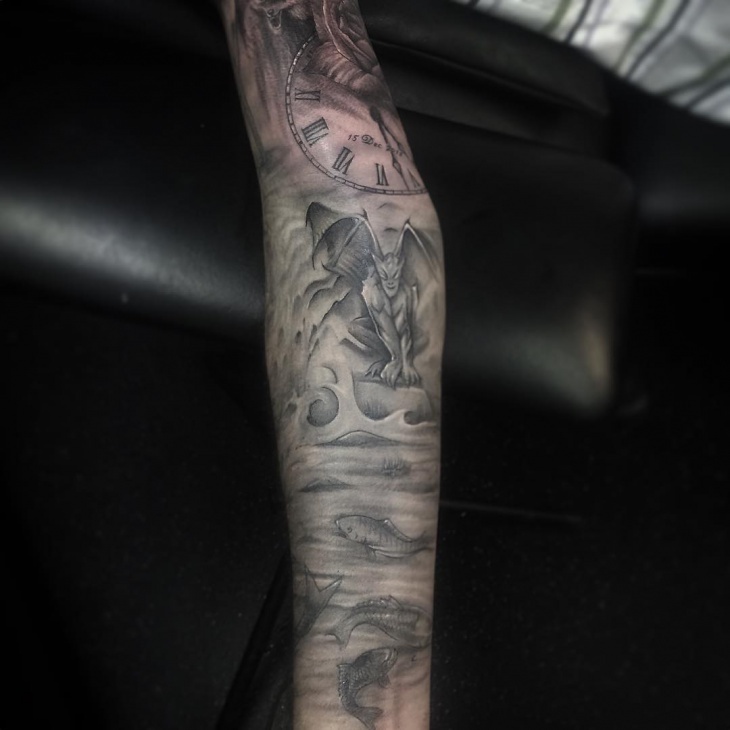 Black and white tattoo gives out a very distinctive feel and look. 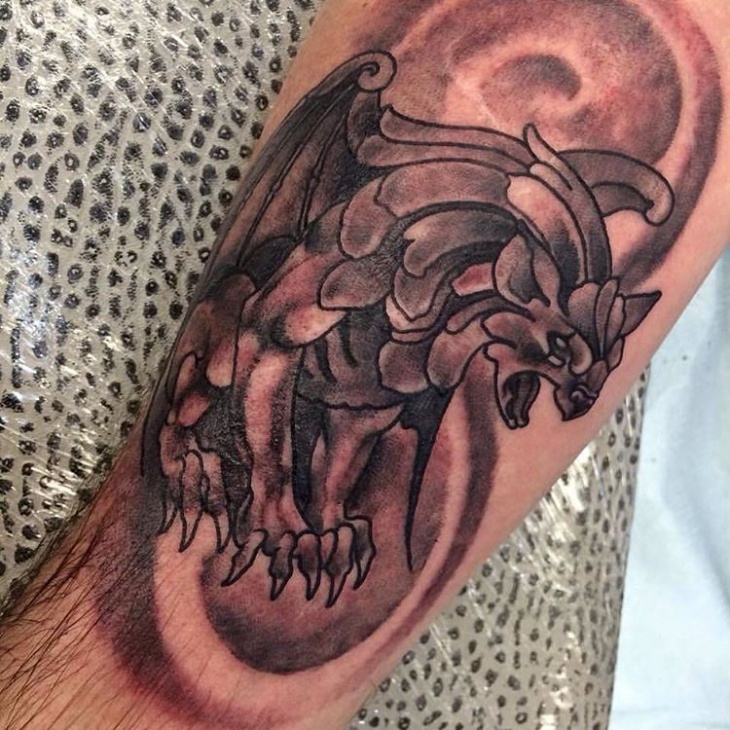 This gargoyle tattoo is only the face of the gargoyle and each of it is drawn and designed out very well. The shading gives out an extra effect. 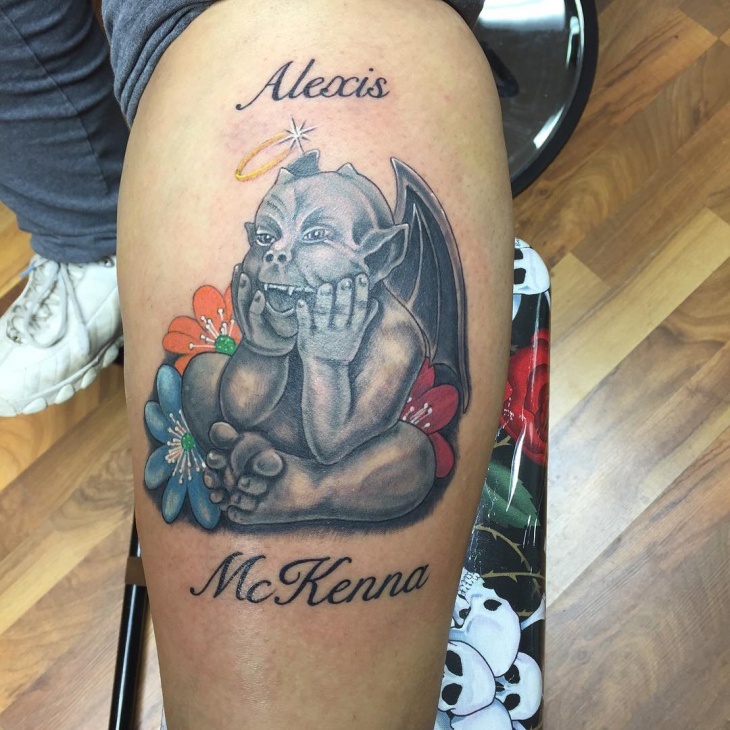 This is exactly how a gargoyle tattoo looks on a building. This beautiful wing tattoo looks like it has been brought to life with its intricate designing and creativity. 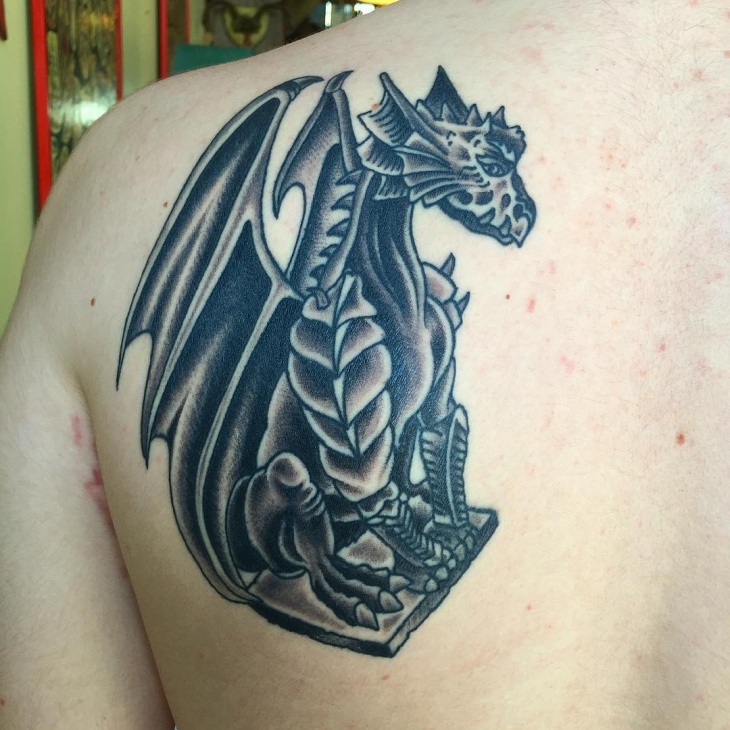 It even looks like a dragon tattoo if you look at closely. This according to us is a very piece. 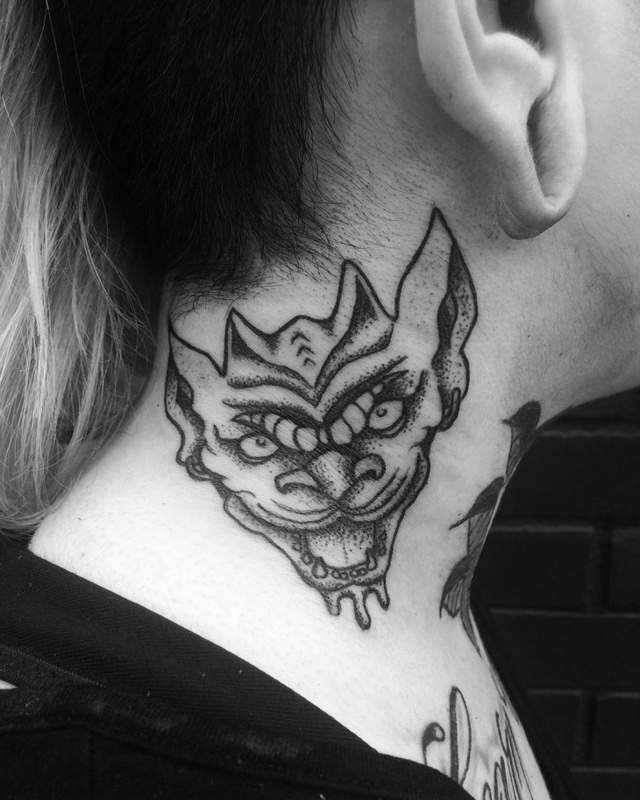 How often do we see a head tattoo, which is very bold and unique to get done? 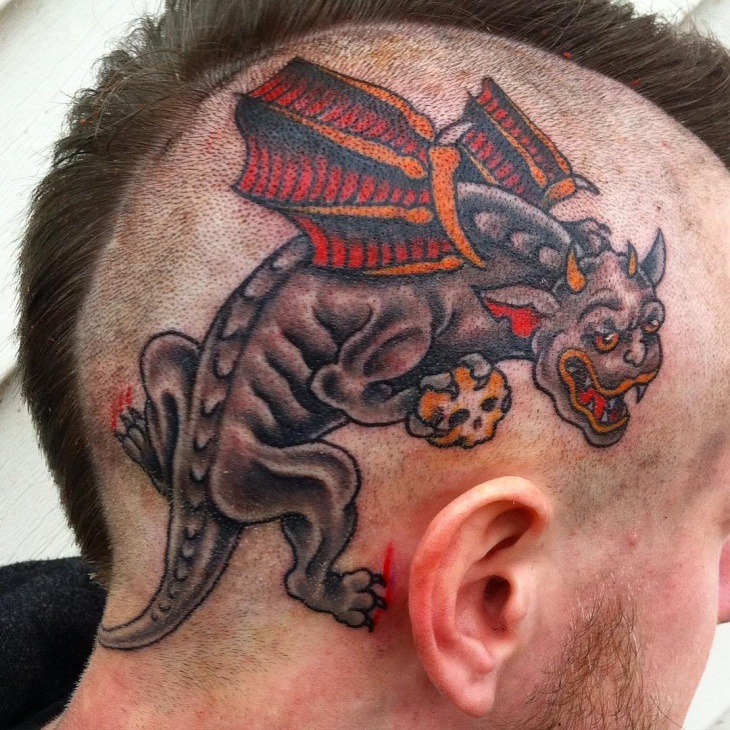 And with a dragon tattoo like this with the face of a gargoyle, this is going to be getting a lot of attention. 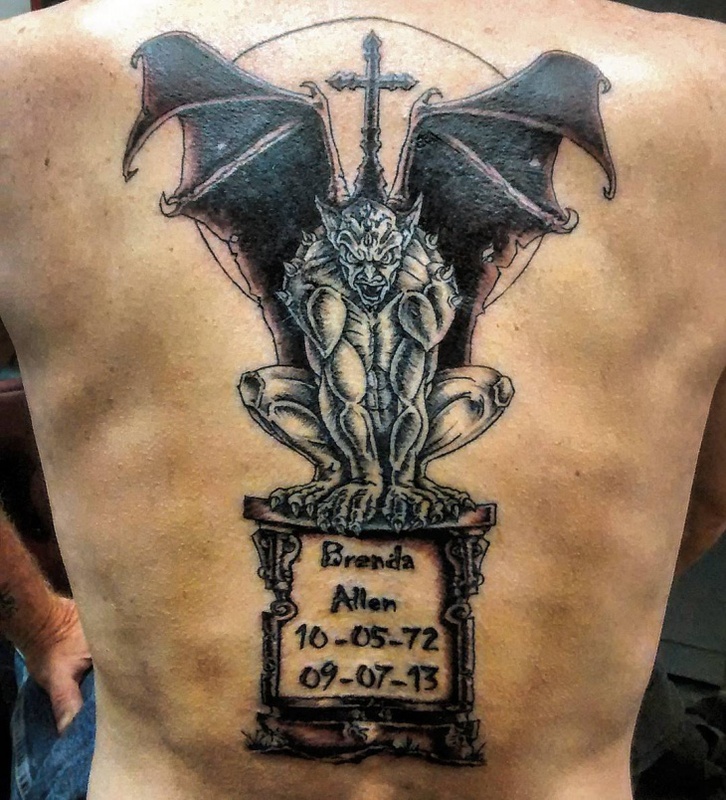 This gargoyle tattoo is just not a mere wing tattoo or dragon tattoo, unlike the others. 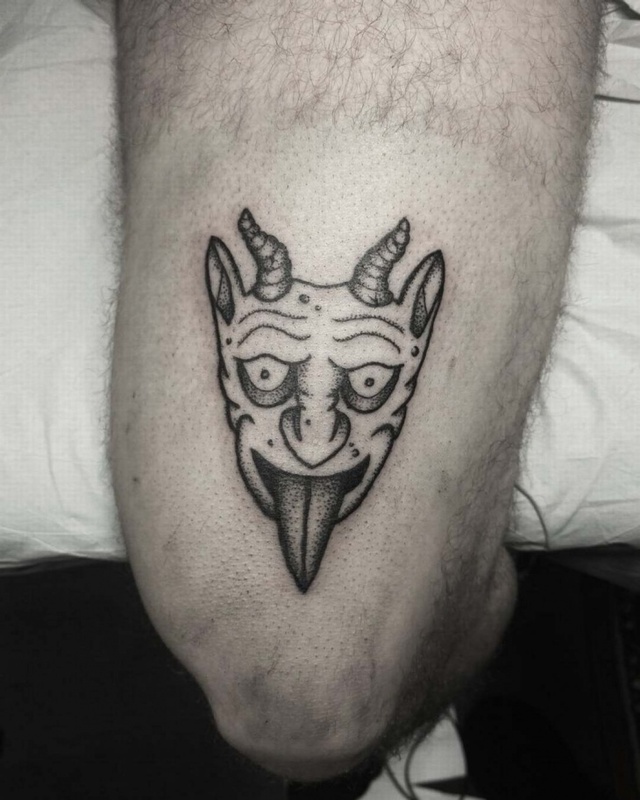 There are so much more effects given to it, which makes it stand out and overall there is a perfect tattoo out there. 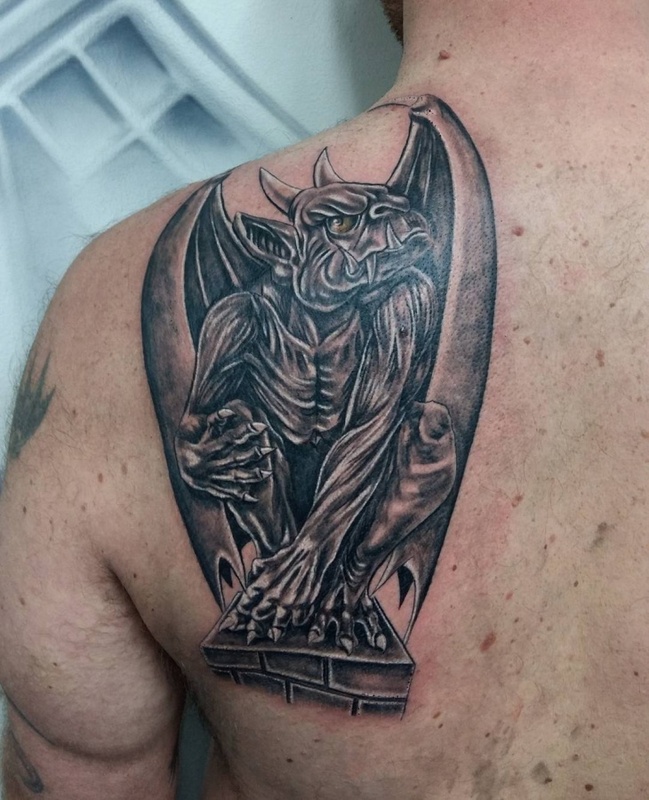 This unlike the others is a very traditional looking gargoyle tattoo. It is big and scary looking but also done so perfectly with a lot of creative work and thinking. 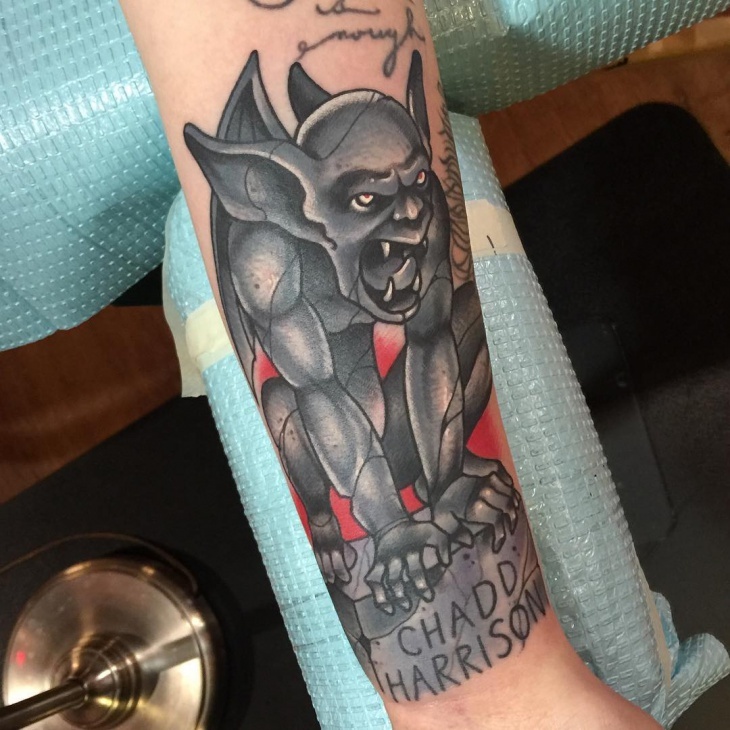 These are some alluring gargoyle tattoo. 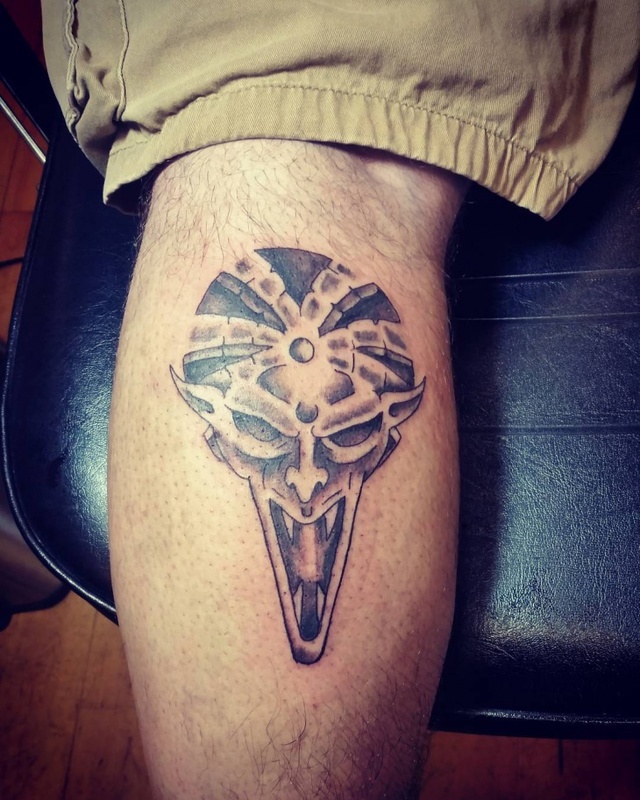 If you have always spotted them on buildings and wondered how they would look as a tattoo, here is the perfect example and you can consider getting one of them. Small or big, we have all the options laid out for you.